“A killer band with real bite”. Mark Youl ~ Jazzwise. The quartet features the baritone sax of Kofi with the Hammond/guitar/drums muscle of The Organisation, playing a combination of high energy modern jazz, Latin, blues and funk drawn from a unique repertoire of rarely played classics by George Russell, Woody Shaw, Duke Pearson, Pepper Adams, Pat Martino, McCoy Tyner, Henry Mancini, Horace Silver and others. 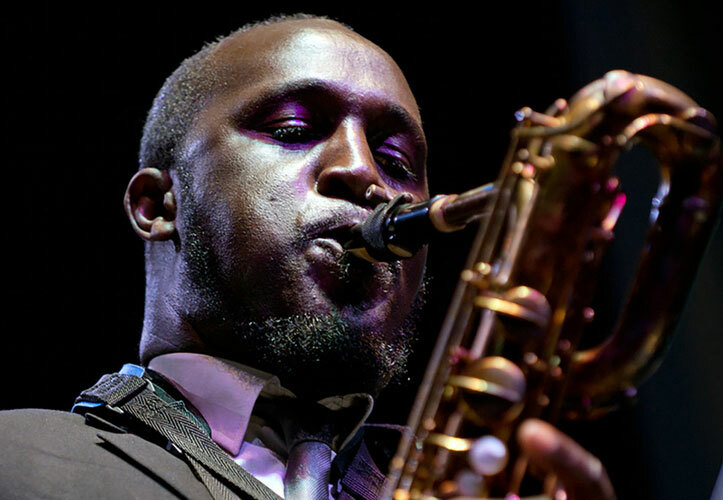 Winner of the 2008 BBC Jazz Awards for Best instrumentalist, the playing career of saxophonist Tony Kofi began when he chanced upon a series of jazz workshops, run in Leicester by Nick Hislam. He won a scholarship to study at the Berklee College of Music in Boston Massachusetts. 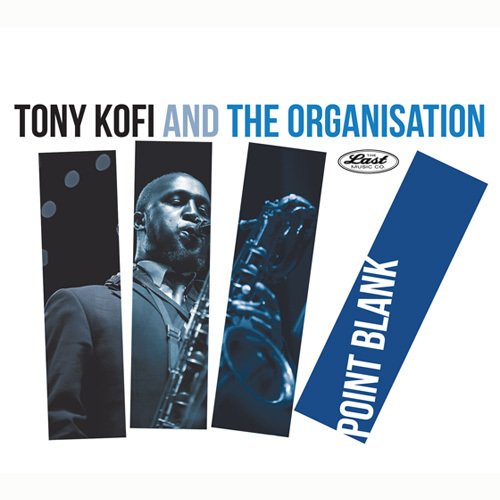 His fluent and fiery hard-bop style keeps him constantly in demand leading his own Tony Kofi Quartet, The Tony Kofi Sphinx Trio, Future Passed Trio and The Monk Liberation Front – which he co-founded with Jonathan Gee. Other projects include: Alex Webb’s Café Society Swing; Arnie Somogyi’s Jump Monk; Larry Bartley’s JustUS Quartet; Adrian Reid Quartet; Orphy Robinson’s Bobby Hutcherson songbook project; Alina Bzhezhinska Quartet; Jo Harrop’s Fever; Portrait of Cannonball; and Aggregation – which he co-leads with Alan Barnes. London-based jazz organist Pete Whittaker became fascinated with the Hammond organ after hearing the classic 1960s jazz recordings by Jimmy Smith, Richard "Groove" Holmes, and Jack McDuff. After a few years touring the western world with rock bands, Pete has in recent times been involved with several jazz projects including UK saxophonist Theo Travis' outfit - Double Talk and also with guitarist John Etheridge's - Blue Spirits. Pete is a regular member of the Nigel Price Organ Trio. Pete Cater is a natural self-taught drummer who has been playing since infancy. Although his 30 plus year professional career has encompassed almost the entire musical spectrum, it is his work as a big band drummer and leader that has secured his worldwide reputation. He first formed his own big band when still in his teens and has released three highly acclaimed CDs, broadcast on Radio 3, appeared at major jazz festivals across the UK, and they are doing an ongoing UK wide series of concerts commemorating the music of Buddy Rich. Pete’s expertise in the large format sees him in regular demand with a variety of large ensembles including the BBC big Band and the Back to Basie Orchestra. In addition, Pete has worked with many international jazz stars in small band settings including Arturo Sandoval, Charlie Byrd, Benny Carter, Buddy De Franco, Terry Gibbs, Al Cohn and Buddy Greco. Simon moved to London in the early 80's initially working on the rock and pop scene. He toured extensively in the UK, Europe, Scandinavia the US Canada and Japan, headlining such prestigious venues as The Royal Albert Hall, the Forum, Paris Olympia, the Whiskey a Go Go and the Universal Amphitheatre Los Angeles. TV and Radio credits include The John Peel Show, Top of the Pops BBC 2's Late Show Channel 4's the Word and BBC4's Kaleidoscope. After briefly studying with Dave Cliff he has worked with Brighton organist Dave Windross, Gary Baldwin, Roger Beaujolais, Sam Gambarini and Gareth Lockrane. With the Organisation he has worked with Bob Martin, Steve Fishwick, Jim Hart, Alex Garnett and Dave O'Higgins amongst others.